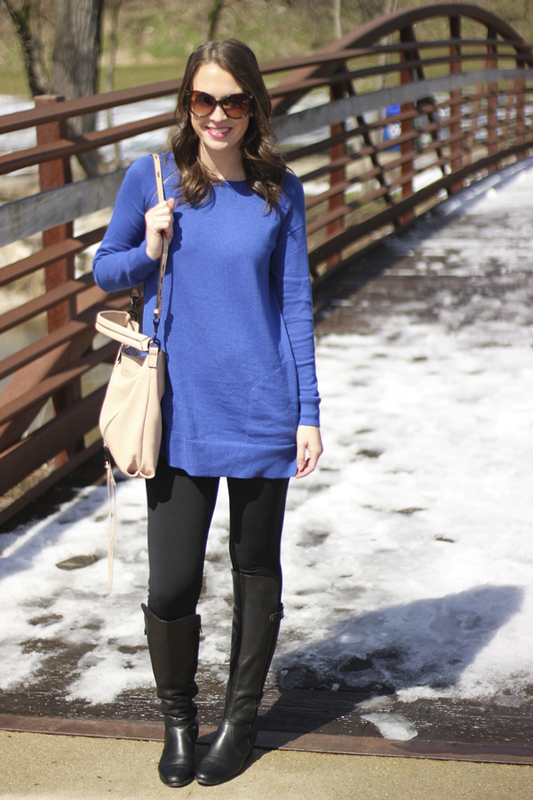 I am constantly on the look out for cute tunics that are long enough to wear with leggings. 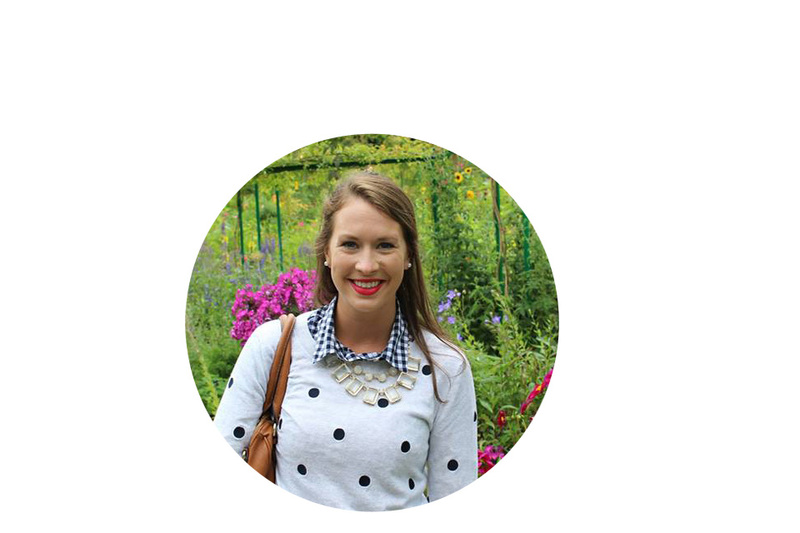 I love to wear leggings running errands on the weekends or for a day of organizing my apartment. 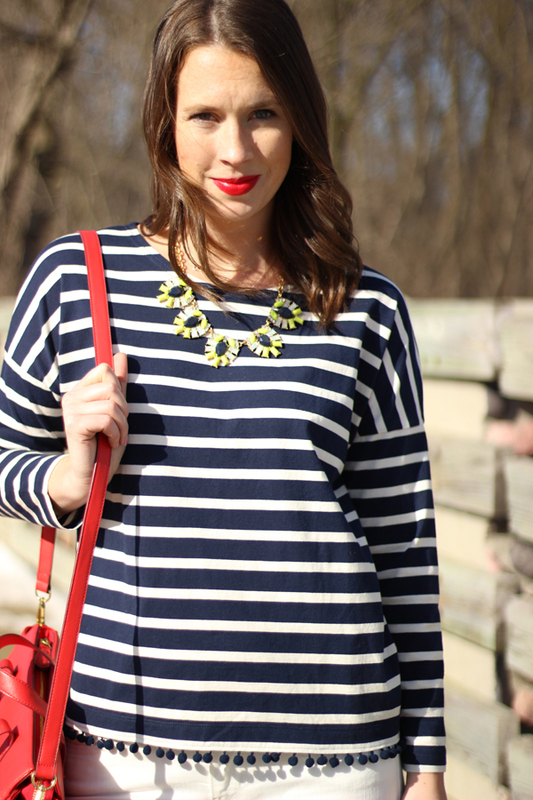 This tunic is perfect for spring because of the bright blue! 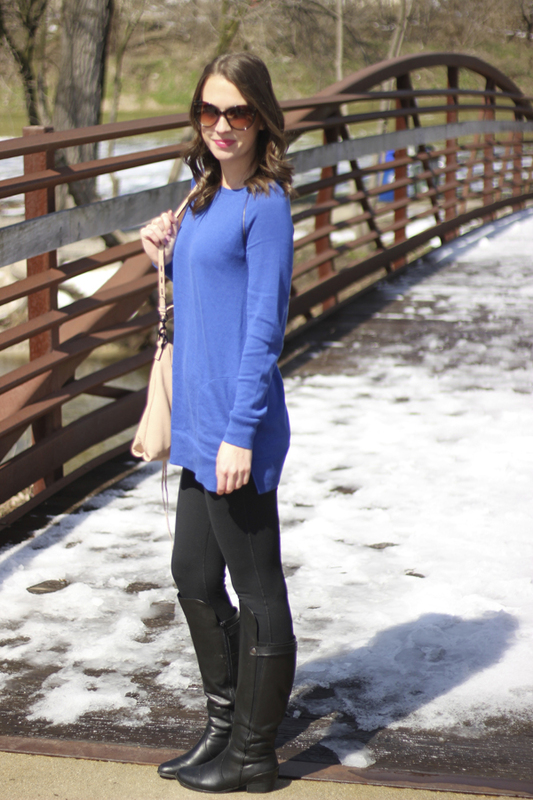 I have linked a cute and similar type of tunic that comes in another pretty blue! 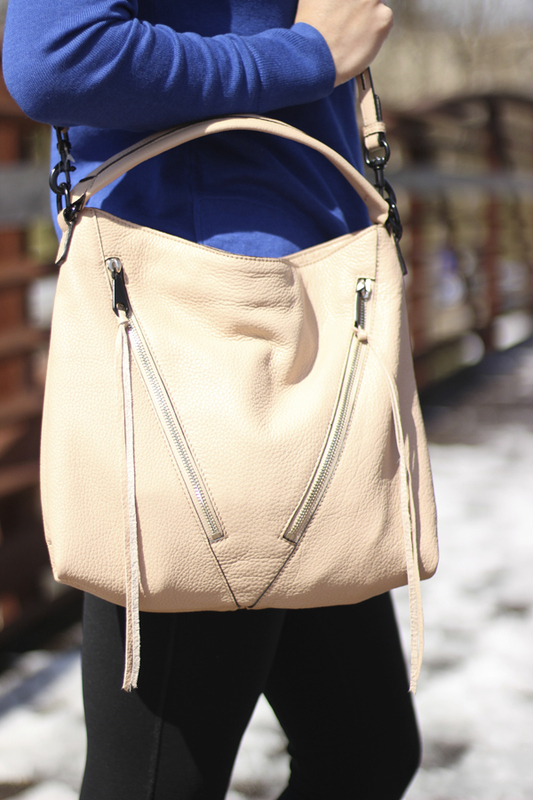 This flattened version of the popular hobo is the bag to have for spring, this bag comes in so many colors and I am absolutely obsessed. The pebbled leather is so soft and is the perfect size! 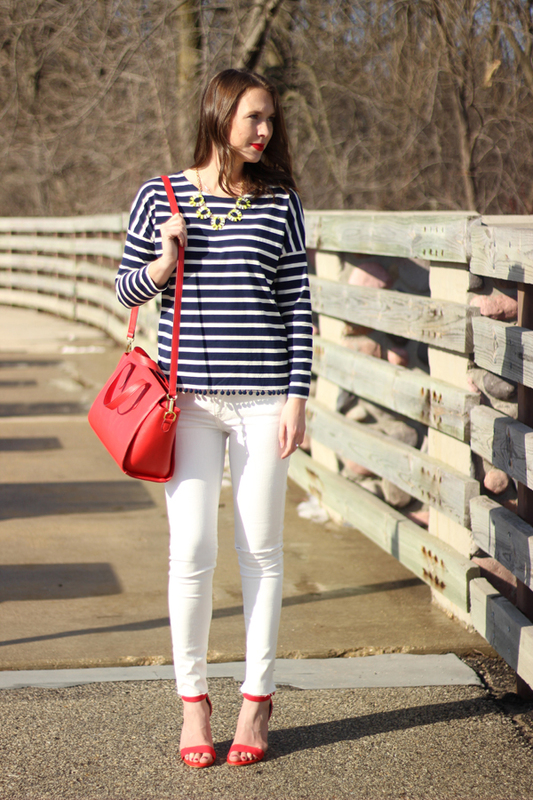 I love pops of red in an outfit, its such a bold color and makes such a statement. 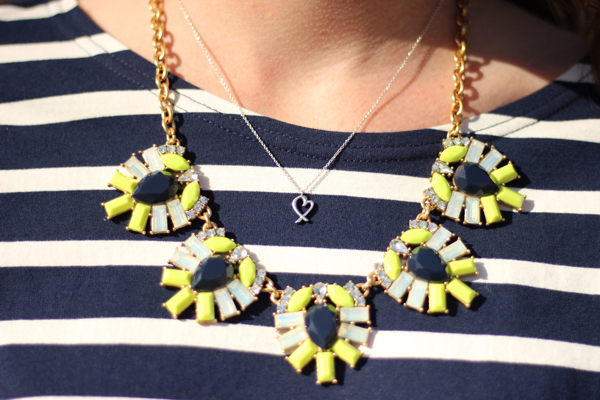 I think it instantly elevates your outfit. Red Lipstick is also a favorite of mine, it is my favorite to wear and this bight red is my drug store favorite and a staple in my collection. 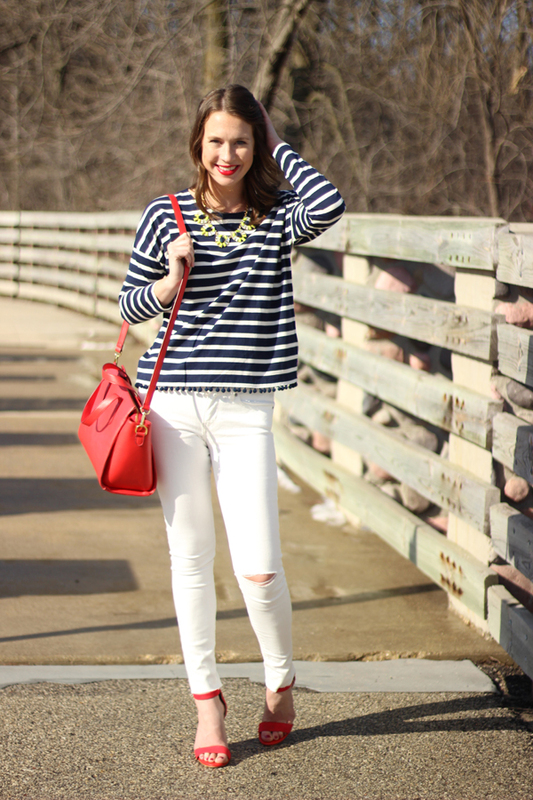 I love the pom pom details on this striped top, I love how they really stand out against my new white jeans. I have been IN LOVE with Levi's lately, they fit me so great! I love how only one knee is distressed on this pair. 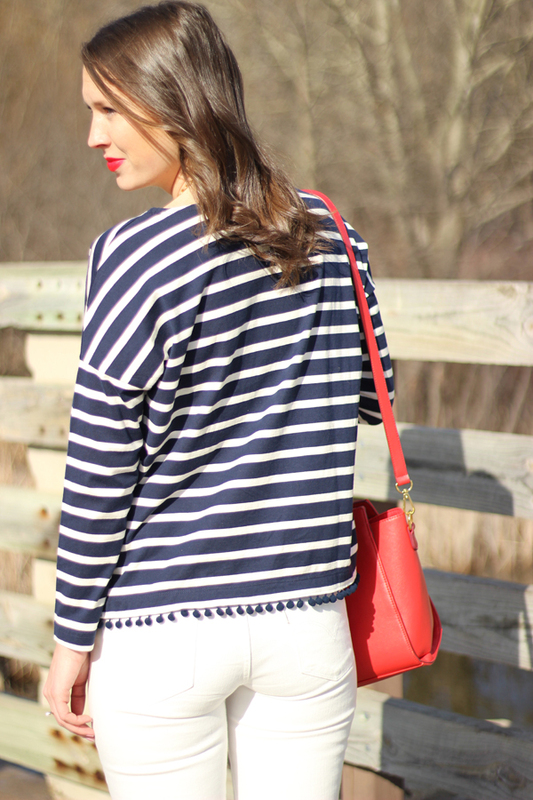 I wore this top around while running errands this weekend and I cannot tell you how many compliments I got! I was shocked because it is really just an upgraded tee, the perfect weekend wear and would also be perfect for a casual date night! 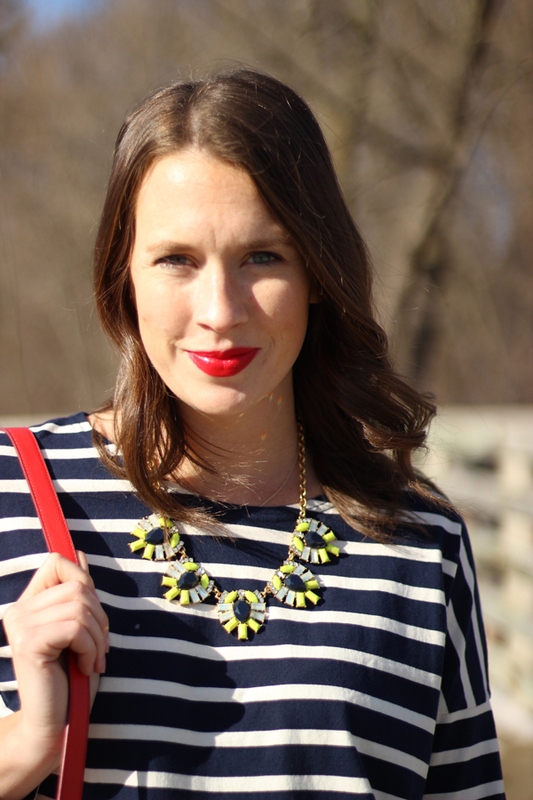 Add a bright lip for a spring touch! Hello everyone!! I'm back!! I feel like have have moved nonstop since the holidays with life just now starting to slow down a bit. I have been traveling just about every weekend for Dave's spring break, my nieces golden birthday, Hawaii, a birthday girls weekend in Chicago…you name it. I had the most relaxing weekend at home, organizing my closet for spring catching up on piles of laundry and getting the blog back in action. I have been wanting to post for so many weeks now but have just not been able to find the time. I can almost hear my clothes screaming to be photographed so no worries everyone…I'm back! I will be posting an average of 3 times a week. So stay tuned! 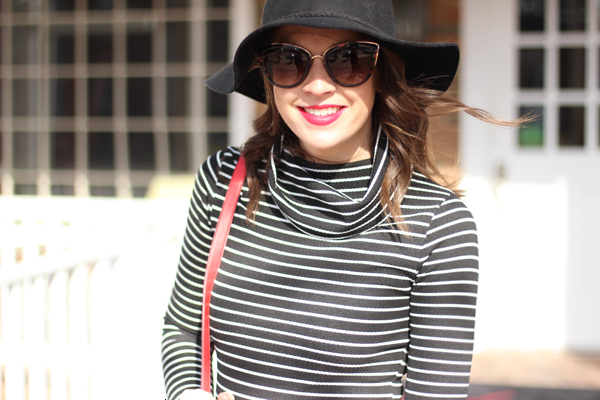 This striped dress is just to die for, I love that it is body con and what I really love it that it is currently on sale for $27! Who doesn't love a good deal?